Cutest Thing You’ll See All Day. Now this is the most adorable thing I’ve seen in a while. 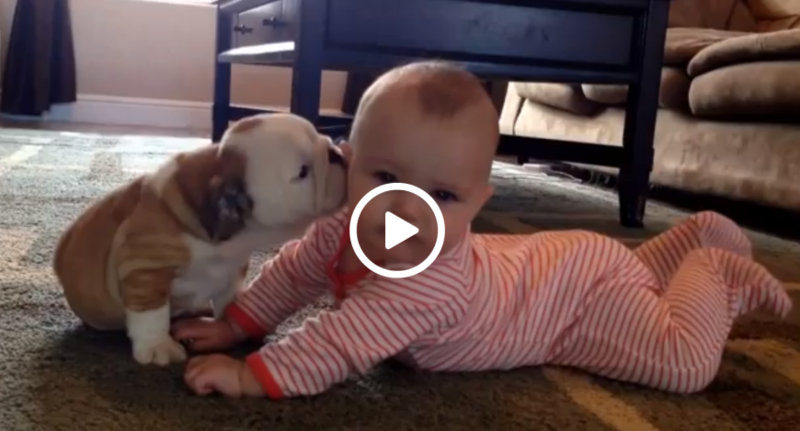 A baby and a bulldog puppy…in the same video? I would have never thought I’d see that. Well we all just did, so there you go. Your welcome.